There are many ways to celebrate Australia Day. We at Everton Hills decided that a grading was the way to go. On reflection, it was probably a risky proposition given the long weekend and the bad weather. Notwithstanding, we had a good turnout. Big thanks to all those who braved the elements to support their Aikido mates as ukes and in other roles, including those who came from other dojos. 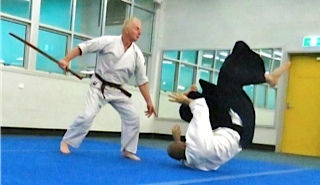 Thom Hansen Sensei and Rod Nixon-Smith Sensei (Everton Hills Dojo Cho) comprised the grading panel. Thom Sensei guest instructed at the Dojo a number of times in 2012 and it’s always nice to have him drop by once again and give us his support and insights. Pete started with us last year and is one of those students you just love getting through the door. He is a committed student, always working on getting his technique right. I don’t think I can recall a Saturday morning class where I haven’t walked in and not seen Pete working on his ukemi or some other aspect of his practice. This Saturday was no different. Being first up on the mat at a grading day is never easy. 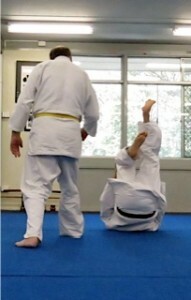 In Aikido we make it doubly hard by insisting the least experience amongst us go first. Pete performed this task admirably and did a fine job. As to be expected, Pete’s grading was focussed on getting the principles right. What I particularly liked about Pete’s technique is that he stood up straight throughout and remained centred. This is sometimes a challenge for all of us, but when you stand a good 30cm taller than everyone else, like Pete does, this can be even more challenging. Well done mate and we all look forward to working on your 5th kyu with you. Susan is one of those people you just like having on the mat. She is dedicated, upbeat, enthusiastic and always happy to help out. 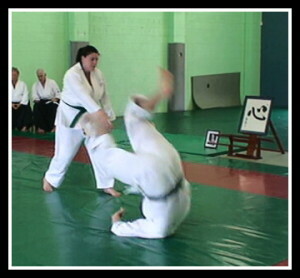 Susan has been training for this grading over the last couple months like an Olympic athelete, both on the mat and at home. All these efforts really showed on the day. How did Craig Sensei put it – “it’s like watching Wonder Woman out there”. Susan’s grading was characterised by plenty of zenponages (projections) and technique variety. As everyone knows, 2nd kyu is a long grading with a lot of taninzugake. One of the best parts of Susan’s grading was that she maintained a consistent pace, didn’t get flustered and was calm throughout. Her weapons kata was precise and similarly well-paced. Congratulations Susan on an excellent grading. Gary has been with Everton Hills for quite a while now. He’s a dedicated student who gives his all at every class. 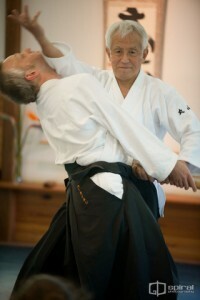 Gary focuses a lot on making his Aikido “real”, which is something I really respect. Gary’s grading was dynamic and fast paced. His uke’s worked hard for their money (pizza in this case) and their ukemi was at times really tested. There was also a good variety of techniques covering a broad spectrum of the syllabus. I also liked the way Gary used the entirety of the mat to his advantage and really put on a show for the crowd. Well done Gary – fantastic job. Zac was last up for the day and provided a fitting finale for our grading day. Relaxed and consistent paced execution was the name of the game and Zac’s techniques really benefitted from it. While I’m not sure if Zac broke into a sweat, I can vouch that his ukes did. One of the notable things about having Zac on the mat is that he is always eager to experiment with new techniques in his taninzugake. It may have been his grading, but today was no different. 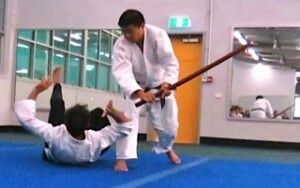 Earlier in the class Rod Sensei decided to teach an old-school “Hammer of Thor” technique. Needless to say, first technique in Zac’s taninzugake was a “Hammer of Thor” technique on roids. Looked great on video, although I must say I would have enjoyed it more if it had been someone else’s head other than mine! Zac’s taninzugake was both dynamic and varied. His weapons kata was also excellent. Congratulations Zac on a well deserved 2nd kyu. A big thank you to all those who worked behind the scenes to make the morning a success. David and Michelle – the pizzas really hit the mark. Thanks also to Craig Sensei for recording the event. I should have the DVD’s for those who graded ready in the next 2 weeks. Finally a round of applause for all the ukes – without you the grading could not have happened at all. Congratulations to all those who graded. 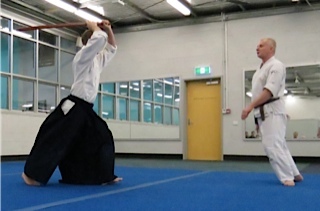 On Saturday the 15th we had Sensei Thom Hansen, (one of the most senior instructors in Brisbane aikido) visit and he delivered another great class, which included Tenchi Nage , and also some back to basics on “Moon Shadow”. We had a great turn out and there was plenty of opportunities to train with different people, was also great to see a few others from Nathan come along Narelle, Michael, Lachlan, and Gary (did we see Gary & Thom negotiating for Thom to visit Nathan dojo perhaps at some future date?) Going forward we intend to get Sensei Thom at Everton once a month, so stay tuned for the next date. Also on Saturday, the PCYC had its birthday celebrations and open day so we did a public demonstration, so a big thanks Sensei David Shepherd who organised this, ran & spoke at the demo. Also a big thanks to all who came along, and also for your patience as we had a surprise last minute rescheduling. Monday the 10th, was also David’s first class as an instructor. We have also had in recent weeks with Sensei Rod’s extended holiday, Sensei Michelle Roderick & Sensei Sylvie Lacherez out in front of the class, leading it for the first time. Well done guys and I know Rod is proud of each of you making this next step in your Aiki journey. http://griffithaikido.com.au/wp-content/uploads/2014/12/griffith-aikido-logo_transparent.png 0 0 admin http://griffithaikido.com.au/wp-content/uploads/2014/12/griffith-aikido-logo_transparent.png admin2012-09-18 01:34:092014-12-08 02:34:54The Everton round up! Unfortunately circumstances beyond our control have resulted in the inability to hold the Mansfield/Mt Gravatt classes this week, 25th July 2012. 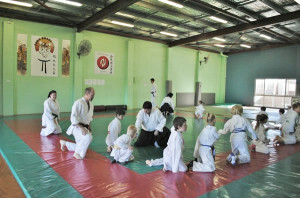 All kids and adult classes will return to normal again from 1st August 2012. We will advise again via newsletter and on our website when we will be holding the Ladies Only class. We apologise for the short notice and any inconvenience caused. Its all coming together very nicely however we would love to have any contributions of photos, videos or testimonials if you would like to send them our way. If you contact Nat on admin@aikidokidsbrisbane.com.au with testimonials. Photos and videos can be uploaded via our Facebook Gallery page and if you have a YouTube channel already, you can forward videos to us that way. Alternately, if you have photos/videos sized under 50Mb, you can use a free service called YouSendIt – https://www.yousendit.com/litesignup?s=4001173&cid=si-4001173 (you have to sign up but it costs nothing). Just to assure everyone that the privacy and online protection of our Aikikids is of utmost importance. For this reason we have taken every precaution to ensure that children remain as anonymous as possible including regular monitoring of posts, photos and video uploads, requesting that if children are referred to, that only their first name is used, and disabling of the ability to ‘tag’ photos on our Facebook sites. The taking of photographs and videos will now be a regular occurrence in every dojo so that we can keep updating all of our internet sites. If at any time you don’t want your child involved, please let us know immediately. We invite you to become an active part of our online community by ‘liking’ photos and videos, sharing them and links with your friends and family, and of course contributing electronic content as above-mentioned. Kids should get great enjoyment from seeing themselves online, and its a great thing they can share with their friends! Also, an Aikikid-only mailing list has now been created and a newsletter will be sent out at minimum monthly, dedicated to Aikikids, their achievements, latest dojo news, upcoming events and the like. Your feedback and suggestions are very welcome as we want these sites to be a place of interest and resource for you all. We look forward to bringing you heaps more Aikikid action from our dojos in the near future! 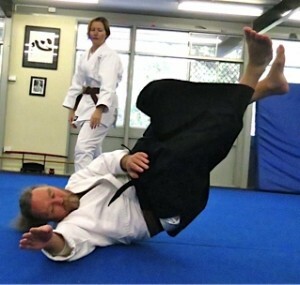 Mansfield/Mt Gravatt dojo will be running a ‘ladies only’ class on Wednesday 25th July. If you have never tried Aikido and feel uncertain or lack the confidence to start out in a mixed class then this class may be for you. As with other martial arts Aikido does require physical contact so this can be somewhat daunting for females, especially as martial arts tend to be male dominated. Aikido is for everyone, male and female, young or old and it’s ideal for females as it is an art that relies on calm mind and relaxed body, rather than size and physical strength. We have many females train with us at Griffith Aikido of various ages and ranks, so for an effective self defence come along and give Aikido a try. 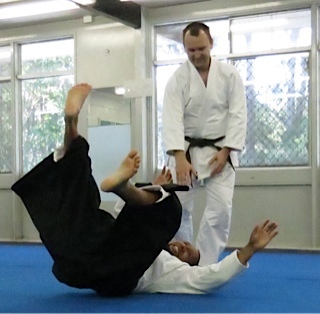 Here is a very interesting read on Aikiweb of two first hand experiences with Gozo Shioda Sensei, the founder of Aikido Yoshinkan and student of Morihei Ueshiba. this version and our own version of Kokyu Nage. Yes, it’s a first homework…. 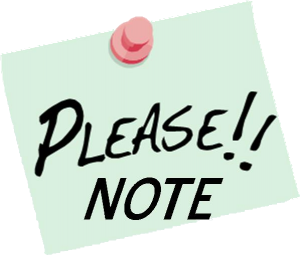 We apologise again for the sudden cancellation of the Mansfield/Mt Gravatt kids and new womens class last Wednesday. Circumstances beyond our control, and of which we were only informed upon getting to the dojo just prior to class caused the inability for classes to be held. Energex were putting in a new transformer on Broadwater Road resulting in loss of power to to all primary school buildings including the daycare and Student Centre at Brisbane Adventist College. The college have apologised for miscommunication which resulted in us not being advised of this work and the subsequent loss of use of the Student Centre. 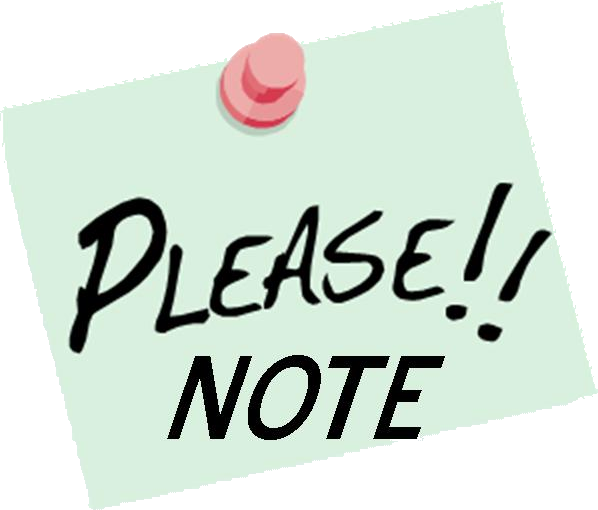 Classes at Mansfield/Mt Gravatt are not on this week either, but will resume as normal with both kids and adults classes on 11th July 2012. 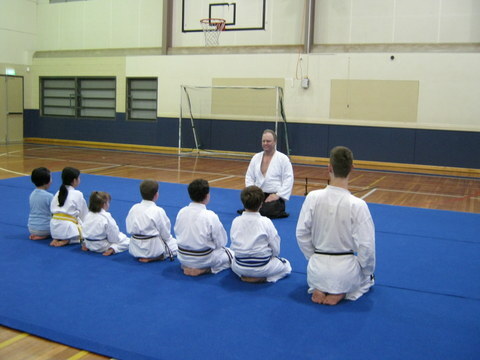 If you didn’t know, Mansfield-Mt Gravatt Dojo is now running children’s and adult’s classes on Wednesdays. Two kids classes run from 4pm to 6pm. Adult classes run from 6.30pm to 8.30pm. Children’s classes have been steadily building since beginning in April, with a very handy word-of-mouth advertising having great effect. Both classes currently have about 10 kids each, and will continue to grow. Adults classes started this month. We haven’t quite had a chance to do traditional advertising so classes are still small. The members who have come have received some very individual and focussed training. If you’ve thought about trying training on Wednesday night, or you have to miss Tuesday or Thursday night training for some reason, or you just want to check out the club’s new dojo, you are absolutely welcome. It’s not hard to find. Beginners course starts Tuesday 5th June – all welcome! We have now locked down class times for the kids classes, which allows us to lock down a time for the adults class (see below). The mats the club ordered to allow the Mansfield-Mt Gravatt Dojo to begin, have now arrived. 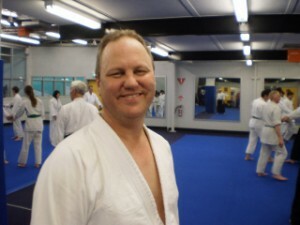 Nathan now has brand new 14 metre mats and the current front mats at Nathan have now gone to Mansfield-Mt Gravatt Dojo. The 10 metre mats which have been on loan have been returned to Nathan, so Nathan now has all its mat space back. Many thanks go to Nathan Dojo for going without the back mats for several weeks to allow Mansfield-Mt Gravatt Dojo to start. 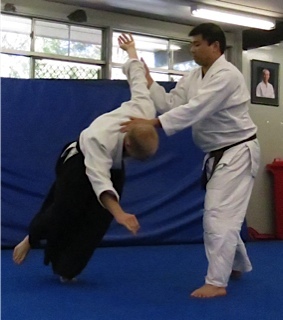 Adults classes start at Mansfield-Mt Gravatt Dojo from this Wednesday 6th June. Time will be 6.30pm – 8.30pm. Classes are included in the monthly fees currently paid at Nathan. That is, it will not cost you any extra to train at Mansfield Mt-Gravatt dojo if you pay monthly mat fees. It was a great day. Eleven of our members graded on Saturday. They all showed once again that there is no substitute for hard work and repetitive practice. Jessica, Warwick and Catherine were wonderful. They all have a very good grasp of basic technique and showed some good footwork. There were some good early signs of Aikido understanding. Even though Catherine was obviously very nervous before she started, she did a great job. One of the fundamentals of Aikido is relaxation. It also makes future gradings far less stressful. Two of our more mature-age students, Rod and Peter have been training regularly since the day they started. Both have a wonderful attitude towards their training. Decades of upper body strength are fast disappearing from both of them. Week by week, month by month they become softer and more flowing with their technique. This was evident on Saturday as they moved much more freely. Both did a very good job with their demonstration techniques and , like most older blokes, were never in a rush. 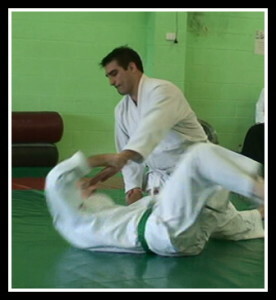 With the mat to himself, Brenden was the centre of attention for his green belt demonstration. He was calm, cool and relaxed and his technique was soft and flowing. He didn’t rush and was in control from start to finish. Brenden travels from Gatton every Saturday to train with us. he has done a remarkable job. Well done Brenden, welcome to the senior grades. The future of our cub is looking as though it is in capable hands if these five first class hakama gradings are any indication. For Bartek, Rick, Matthew, Danny and Kylie, this was the penultimate demonstration ahead of their Shodan grading in a year’s time. No matter how much practice is done, this grading is still a challenge on the day. Like all senior gradings, it is less of an instructor-set test and more a test of the self. These five club stalwarts all worked very hard to get here, and all are great examples for those coming behind them. Every one of these dedicated students has had their own personal challenge to deal with. To their credit they all met their individual challenges and passed their own tests with flying colours. This was exemplified by the look of complete and utter relief on Kylie’s face as she knelt to bow out of her weapons kata. For the onlookers it was a great spectacle to watch as they calmly guided their ukes around the mat. It just never ceases to be entertaining. It is also wonderful for instructors to see students emerge into the realm of calm effortless and confident Aikido. It is just as gratifying to see the same students rolling effortlessly as Ukes, knowing they have skills for life that will stand them in good stead outside the dojo. Congratulations to our five new 1st kyu students who will go on to meet their next challenge on Tuesday night of standing, moving and rolling in their new hakama. I wouldn’t miss that test. Thank you to all the other seniors who have helped out in recent weeks as assistant instructors and ukes as all 11 students prepared for their grading. 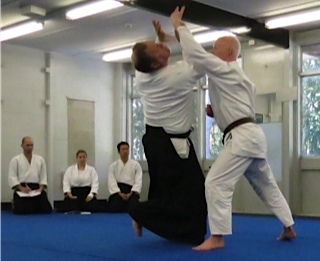 Here is an interesting article called ‘Modern Aikido: Moves and Meaning’, authored by Tom Koch and published on the Black Belt Magazine website. “Forget the politics that have divided the founder Morihei Ueshiba’s aikido into a half-dozen communities, all calling themselves aikido. 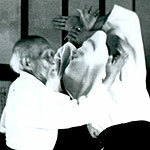 There are, in truth, only two aikido camps today: one mostly hidden, some say forgotten, and the other ascendant. Click here to read the entire article on the Black Belt magazine website. All of that hard practice over recent weeks will be on show next Saturday at the Griffith Aikido grading day. Held at Nathan dojo, there will be a variety of coloured belt gradings plus several 1st kyu demonstrations. 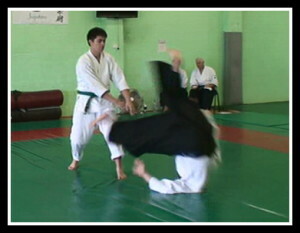 If you want to see Aikido in action come along next Saturday. Adult gradings start at the usual class time of 10.30am. Members please bring a plate to contribute to the post grading celebration. If you are unsure what to bring, please ask Narelle at the front desk. Technique is for the dojo. 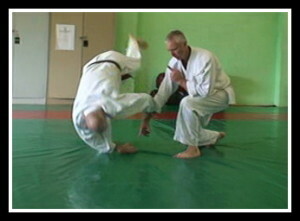 Aikido is for life! 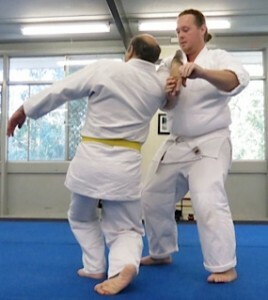 Whilst technique is important, there is so much more to Aikido than being able to throw or immobilize. 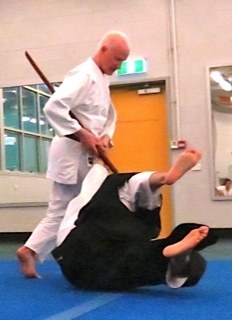 For example, Jim Nicholls Sensei from Byron Bay Aikido club gives a wonderful lesson in verbal Aikido. There is no physical contact involved. The only obvious links between defender and aggressor are voice and body language. It is a subtle (and sometimes not so subtle) combination of tone, volume, expression and posture. Of course, voice and body language are merely the outer forms. The inner form is the spirit. In other words, what is really driving the voice and the body’s posture as a self defense mechanism is a positive mind, self confidence and a strong extension of internal energy. Although invisible, there is a real connection made at this level. Irimi or tenkan – enter or turn? Atemi or taijin – strike or retreat? The threats we deal with on a daily basis are statistically unlikely to come in the form of an armed attack or random violence. They are most likely to come in the form of frustration and anger arising from skirmishes at home, at work, out shopping, and while driving. So while it is technique that is learnt inside the dojo, it is the underlying principles that are applied outside. Most of the time, these must be applied without any physical contact whatsoever. Sanja Matsuri (literally “Three Shrine Festival”), or Sanja Festival, is one of the three great Shinto festivals in Tokyo, along with the Kanda Matsuri and Sannō Matsuri. It is considered one of the wildest and largest. The festival is held in honor of Hinokuma Hamanari, Hinokuma Takenari and Hajino Nakatomo, the three men who established and founded Sensō-ji, an ancient Buddhist temple located in Asakusa, Taitō, Tokyo. Ity is Tokyo’s oldest temple. Sanja Matsuri is held on the third weekend of every May at Asakusa Shrine. 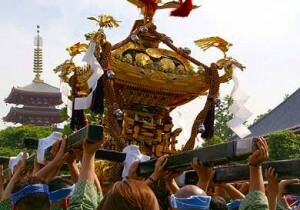 Its prominent parades revolve around three mikoshi (three portable shrines referenced in the festival’s name), as well as traditional music and dancing. Over the course of three days, the festival attracts 1.5 to 2 million locals and tourists every year. 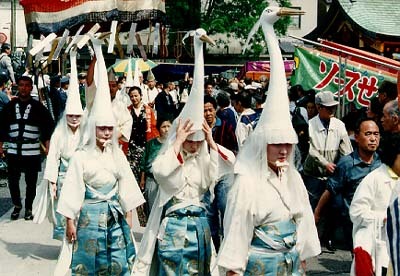 Like many Japanese festivals, Sanja Matsuri is a religious celebration. It is a weekend-long Shinto festival that is dedicated to the kami (spirits) of three men. It is believed that two fishermen—brothers named Hinokuma Hamanari and Hinokuma Takenari—found a statuette of the Bodhisattva Kannon caught in a fishing net in the Sumida River on May 17, 628. The third man, a wealthy landlord named Hajino Nakatomo, heard about the discovery, approached the brothers and converted them to Buddhism. The three men then devoted their lives to the Buddhist faith and consecrated the statue in a small temple. This temple, now known as the Sensō-ji, currently houses the Kannon statue and is the oldest temple in Tokyo. Stay up to date with the latest Griffith Aikido news and get access to the Beginner's Guide and Parent's Guide to Aikido.